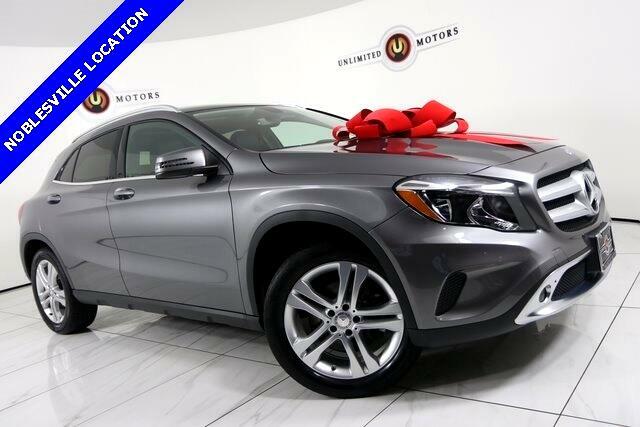 GLA 250 4MATIC®, 4D Sport Utility, 2.0L I4 DI Turbocharged, 7-Speed Automatic, 4MATIC®, gray, Black w/MB-Tex Upholstery. 24/32 City/Highway MPG Priced below KBB Fair Purchase Price! At Unlimited Motors we believe in "MARKET VALUE PRICING" all vehicles in our inventory. We use real-time Internet price comparisons to constantly adjust prices to provide ALL BUYERS The BEST PRICE possible. We do not mark them up, to mark them down! Our entire team is committed to helping you buy a car the way we would want to buy a car! Message: Thought you might be interested in this 2015 Mercedes-Benz GLA-Class.